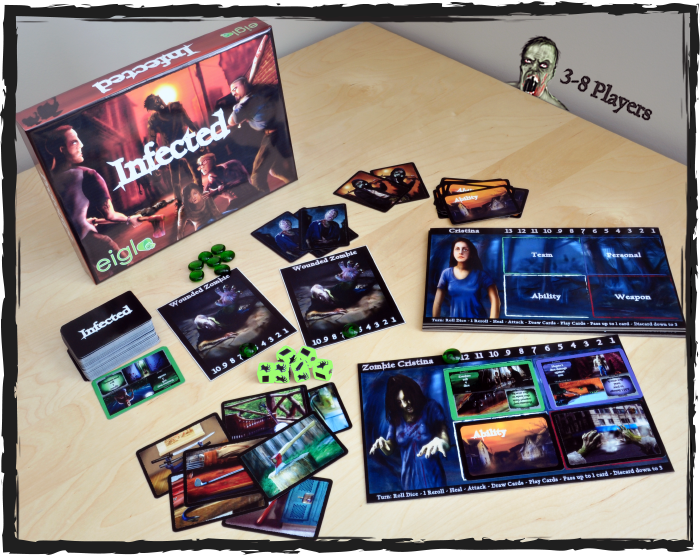 Infected, by Eiglo Games, is a new zombie board game that's up on Kickstarter and looking for some funding love. In Infected, you and your friends play human characters as they encounter a pack of wounded zombies. Some of your friends become infected and turn against you. Gear up, team up and fight for your life in this easy to learn, zombie-themed, party game.